Home » Food » FOOD – Up the Ante this Winter with Soup! FOOD – Up the Ante this Winter with Soup! If someone managed to convince you that one little pill taken three times a day throughout the ‘darker’ months would prevent you from falling prey to colds or flu would you take it? Of course you would – a really bad cold or, worse still the ‘flu’ is guaranteed to make you feel totally miserable, be forced to take time off work and see friends and family giving you a very wide berth while you suffer! Studies continue to show that a deficiency of certain vitamins and minerals reduce our immune response and render us more prone to catching something but as cold and ‘flu’ viruses that sweep the globe each year are rarely the same as the previous year or the year before, there is unlikely to ever be one pill or vaccine that offers all-round protection so we are pretty much on our own on this one, I’m afraid! However, there’s a lot we can do to up the ante and this is where soup can be our saviour! 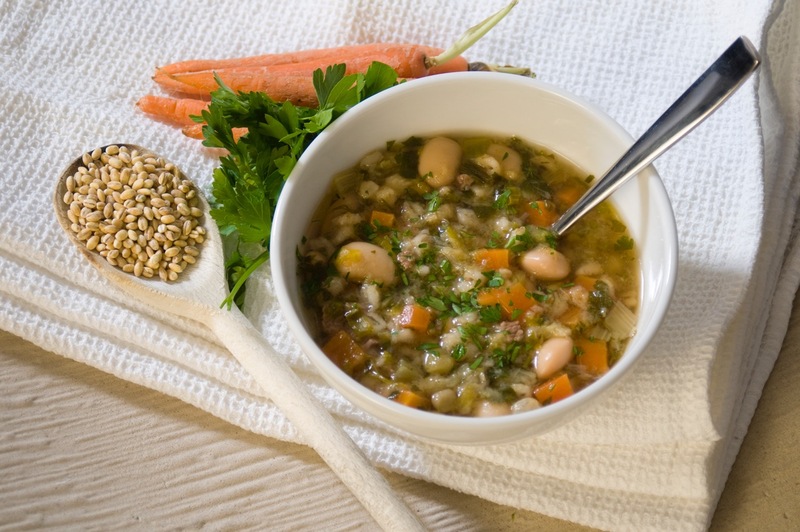 Soup is so much more than just a warm and comforting bowl of deliciousness – a good soup is like a medicinal tonic, offering a whole host of natural, anti-viral goodies rich in immune-boosting micronutrients like folic acid, vitamins A, B6, C and E plus zinc, copper, iron and selenium. Not any old soup will do, however. It’s all about the ingredients and perhaps more importantly, the cooking method – the secret is in the simmering. A great soup base makes for a great soup and a slow sauté over a very low heat until the vegetables used are soft (onions, leeks, garlic, celery, carrots and other roots) not only forms the basis of a really tasty soup but also helps the vegetables retain their disease-fighting nutrients. The addition of herbs and spices at this stage and another spell of slow simmering adds yet more immune-boosters. Thereafter, it’s simply a matter of slinging in all the other ingredients according to the cooking times required (eg beans, lentils, rice and other grains first, meat, poultry and game next and leafy greens and seafood last) until you have a pot of goodness you can’t wait to get your spoon into! 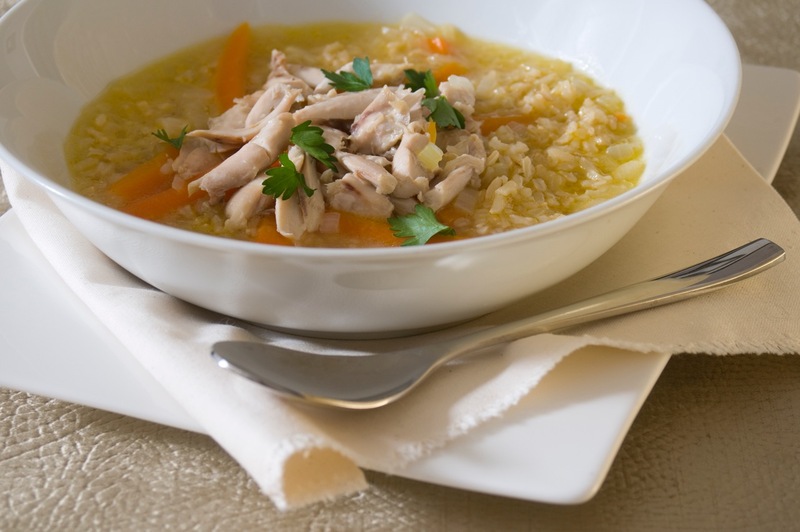 Same goes for broths that involve meat, poultry or fish bones – keep it low and keep it slow for maximum protection!